Structural Integration is the original work of Dr Ida P Rolf. This is a form of work that assists the human body in moving to a place of better balance, better organization, and greater overall freedom and wholeness. Dr Ida P Rolf, the founder of this work, originally named it Structural Integration. 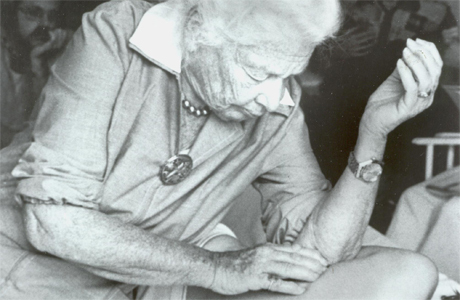 In the 1960s when Dr Rolf was teaching at the Esalen Institute in Big Sur, California, many people began to call her work “Rolfing” and this has become the name that is more widely associated with her work. The terms, Rolfing®, Rolf Movement® and Rolfer™, are service marks of the Rolf Institute of Structural Integration, which has expanded on the work of Dr Ida Rolf. The original version of her work, however, continues to be taught and practiced by the Guild for Structural integration. under the name Structural integration. Structural Integration is a scientifically validated process of restructuring the body through movement, touch and education. It is a process of treatments (usually but not always a 10-series process) to correct imbalances brought on by years of poor posture, improper use of the body (such as carrying heavy loads on one side), stress, injury, trauma and other factors. Thus the body is restored to its original structure as in integrated whole, instead of being as if its different parts are not properly connected. This brings long-term relief to aches, pains and other problems related to the body’s structure, as the causes of these problems are corrected. Structural Integration is particularly beneficial for people with distored body structures such as those with scoliosis or abnormal left-right curvature of the spine. However, anyone with chronic aches and pain will benefit from structural integration.